Access to JR Yamanote line/Saikyo line/Shonan-Shinjuku line, Tokyo Metro Marunouchi line/Yurakucho line/Fukutoshin line, Seibu-Ikebukuro line, Tobu-Tojo line. Rent starts at 85,000 yen per month. The price of rent may different depending on the room so please contact us for more details. Enrollment in home insurance is mandatory. If you intend to stay in the room for a period longer than 2 years, you will need to pay a contract renewal fee worth one month’s rent. Whether for business or pleasure, you can fully enjoy an active life in the city! You can enjoy many large institutions such as the Tokyo Metropolitan Theatre, Metropolitan Plaza, as well as the greenery of South-Ikebukuro Park! 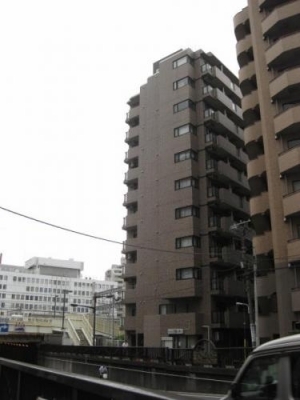 Everyone from students to businessman can enjoy the convenience of Ikebukuro with easy access to areas not only in Tokyo, but Saitama and Yokohama as well! Convenience store - 1-min. Fast food restaurant - 3-min. Large shopping mall - 3-min. Post office - 5-min. Theatre - 10-min.